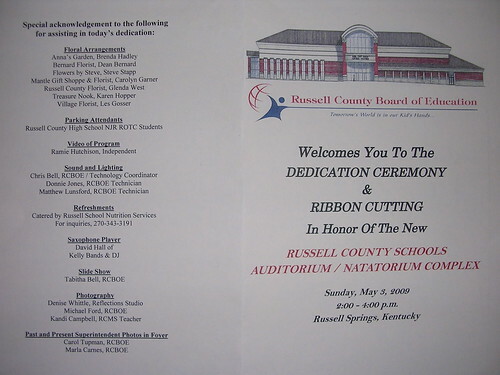 I had a great time playing for the dedication and ribbon cutting ceremony for the Russell County Auditorium and Natatorium Complex this afternoon. 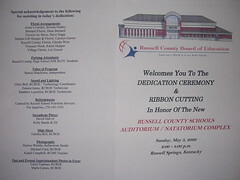 It was an honor to be the first musician to perform in the auditorium of this magnificent structure. Fine acoustics and a truly exceptional house sound system make the auditorium a great venue for live music and theatrical performances. The facility is also ideal for art shows, business meetings, community gatherings, presentations, swim meets, and many other functions. 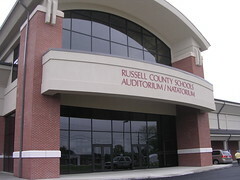 The people of Russell County should be very proud of this building. I believe that it will be enjoyed by many people and be a true asset to the community for many years to come. Fun Times With "The Sensations"